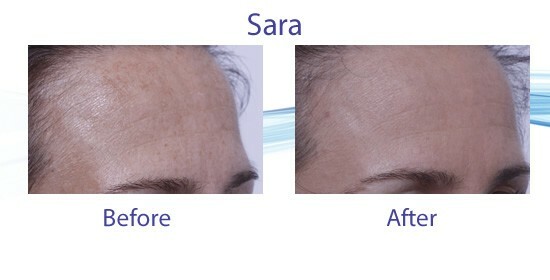 Laser treatments use a process called “Photo Selective Thermolysis”. This process works by selectively heating up a target in the skin i.e: blood vessels, pigment, oil glands, water, to a point that creates a reaction within the selected target such as coagulation, evaporation, collagen synthesis (wound healing). Your laser specialist has the ability to correct and repair epidermal and dermal intrinsic and extrinsic age related conditions that appear on the skin over time, using the appropriate laser applications. At Smooth we use only the highest quality medical grade skin care to help maintain and increase results for corrective treatments. Medical grade skin care provides patients with integral, protected, active ingredients that create movement and activity for healing and prevention. 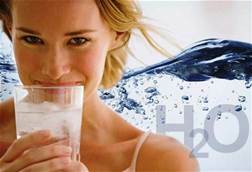 We encourage and educate all of our patients on healthy home maintenance through proper skin care and nutrition. Our brands are known worldwide and are held in the highest regard within the medical cosmetic community. Smooth carries: ZO Skin Health and ZO Medical by Dr. Obagi, Jane Iredale Mineral Makeup and Lycogel Camouflage Makeup. 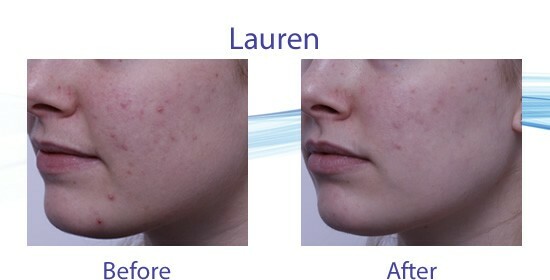 Laser treatments can help reduce the occurrence of acne break outs by a process involving photo-selective absorption and controlled heating. The laser ND Yag laser light can penetrate the skin to an optimal treatment depth in which any blood vessels that feed the oil gland will absorb the light energy and effectively shut down the overactive oil gland. The bulk heating effect of this treatment accelerates the healing process by stimulating collage production. 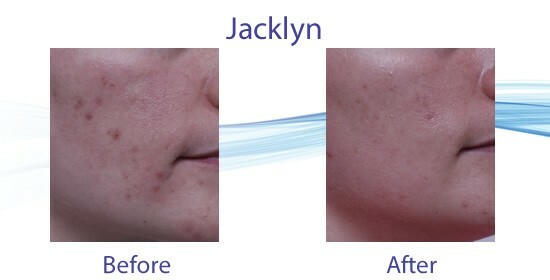 In turn this treatment leads to more long term benefits and results. It’s taken me some time to put this to writing, however, I send gratitude and appreciation each day to Aimee for her clinical expertise, and holistic approach in sharing her knowledge and passion for skincare and natural beauty. I have been seeing Aimee as a patient for over one year, and in that time she has helped me to see noticeable and even remarkable improvements in certain areas of concern on my face. 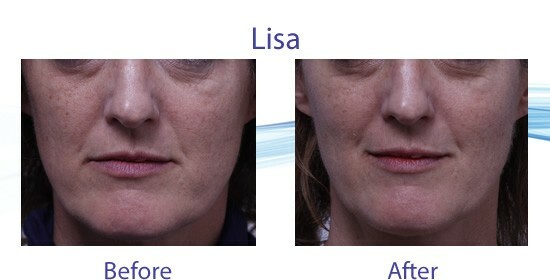 The ‘jowels’, ‘eye hoods’, ‘thinning lips’ and age spots that simply come with aging are reversing! I was skeptical, and very surprised to see real results within weeks of the treatment. I noticed less puffiness around my eyes, and fine lines around my mouth and eyes had softened. My skin is brighter and tighter. Other people have been asking why I look so refreshed. I feel I look better at 45 than I did at 25. That is empowering. Aimee is an incredibly knowledgeable and skilled technician. While I took care of myself as well as I knew how in my teens and twenties, like most of us more concerned with enjoying life, I forgot to take really good care of my skin. After seeing Aimee at Smooth for only two treatments thus far, my skin is incredible! The sun damage is healing and disappearing, the marionette lines around my mouth, the deep, deep, wrinkles that made me self conscious for ages are starting to soften. I am so grateful for Aimee, her skills and her honesty, that I look forward to seeing her at the clinic knowing that not only will my skin glow, but I will glow from the inside because I am able to love what I see in the mirror. What I love most is that Aimee uses procedures which do not change her clients’ faces, but rather, her client’s skin is retrained to change itself. I have grown to trust Aimee for skin care advice, product recommendation and treatment plan. As a mother of three children and owner of two restaurants it is easy for me to neglect myself. After having had several treatments at Smooth, with Aimee, and witnessing my lines retract and spots fade, I continue to feel my energy and confidence re-surge, and it’s exciting to experience! I had a lot of acne in my late teens and had trouble with picking at it and popping pimples. I ended up having red scars all over my face and continued to get acne. Then I discovered Smooth Skin Health and I feel like it has changed my life in so many ways! I recommend these treatments for anyone struggling with acne. My skin was in absolute shambles before I went to see Aimee at Smooth Anti-Aging and Skin Health Centre. My cheeks had broken out in cystic acne and I had no idea what had triggered it and had no idea of how to control it. When I woke up in the morning it wasn’t a matter of if there was a new spot on my face but where! I was feeling extremely defeated and would not leave my house without wearing a full face of makeup. Since my consultation with Aimee, using the products she recommended for me and undergoing some laser treatments, I am overjoyed to say my skin has returned to normal! I have been blemish free for over two weeks now and my skin is so smooth and glowing like never before! My confidence has returned and I can rest easy knowing my problem with acne is now under control. I highly recommend Aimee for those suffering from acne problems, regardless of age! I have suffered from acne since high school and now at 29 my skin is the healthiest it has ever been:) Aimee has a wealth of knowledge on skin care and I really can not thank her enough! Dr. Zein Obagi paints the right picture! April is Rosacea Awareness Month! ROADMAP TO A BETTER YOU!